People have always been curious about the plants and animals with which they coexist. Primitive cultures identified edible and poisonous plants by a process of trial and error, and then began to exploit the toxic materials for hunting, euthanasia, executions, and murder. Other plants were found to have stimulatory or hallucinogenic effects: these not only formed the basis of magico-religious rites, they also encouraged experimentation which led to the identification of plants with useful medicinal properties. This absorbing account of the evolution of modern medicine from its roots in folk medicine will entertain and inform both scientist and general reader alike. It explains the chemical basis of modern pharmacology, and provides a fascinating description of how the use and abuse of natural products in various societies throughout the ages has led to the development of many of the drugs we now take for granted. Many plant and animal species remain undiscovered, and much native folk medicine has yet to be investigated. Given the present wholesale destruction of many of the earth's wild places, this book is particularly timely: these potential sources of agents for murder, magic, and -in particular- medicine, could soon be lost for ever. "An erudite treature trove in which each page sparkels with a concoction of historical anecdote and scientific revelation." "An excellent introductory text for those not liable to dizziness as they jump from one culture to another, or one century to the next...well produced and copiously illustrated [Erowid: "copiously illustrated" is rather overstating the level of illustrations in this book.]." "The book is peppered throughout with the legend, superstition, and science of bygone ages, and interesting reading they make." "Delightfully rich...buy and read Mann's wonderful book." 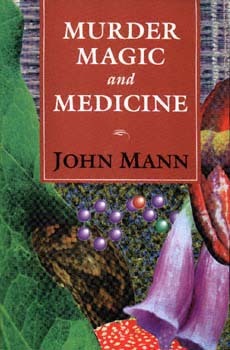 John Mann is Professor of Organic Chemistry at the University of Reading.